March 23, 2019, in Nashville, Tennessee. The no. 4 ranked welterweight Stephen “Wonderboy” Thompson will undoubtedly be inspired by recent events as he faces Anthony “Showtime” Pettis this weekend. 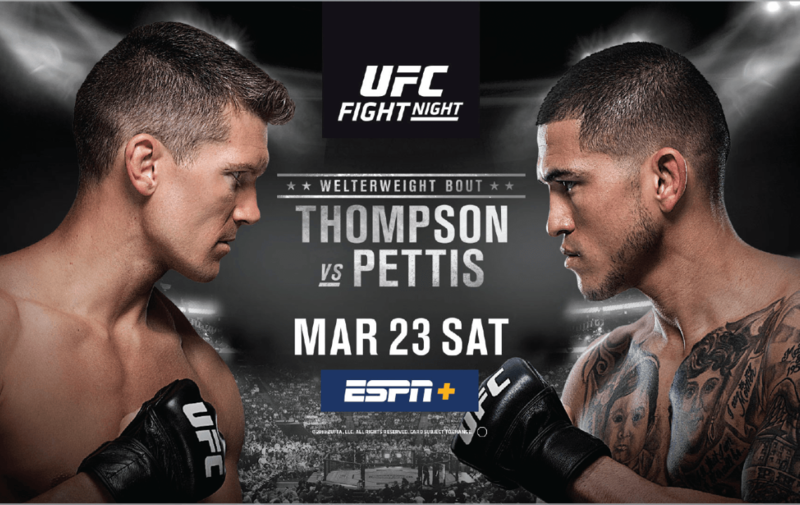 Viral sensation Anthony “Showtime” Pettis transitions from lightweight to welterweight at UFC FIGHT NIGHT®: THOMPSON vs. PETTIS. This stacked division won’t be an easy welcome for the former lightweight champion. Both Wonderboy and Showtime are phenomenal strikers and can push a frantic pace in the Octagon®, but who will prevail? Follow the results below.